The Lines of Flight research group, which I am a part of, will host a session with Doina Petrescu and Nishat Awan presenting the use of mapping in their work. 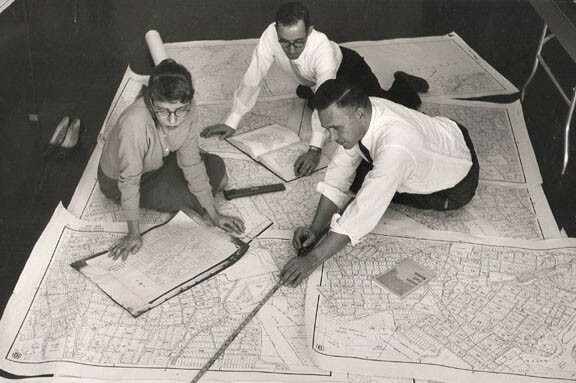 How can maps and the activity of mapping be useful in research? What are the potentials and pitfalls? How do we use maps in our everyday life today? The talks will be followed by a discussion and an informal presentation round to which we invite participants to bring a map of their liking to be analysed collectively. Everyone with an interest in mapping is welcome to this open event. We recommend signing up via Eventbrite here as space is limited. Looking forward to possibly seeing you there! Prof. Doina Petrescu is co-founder of the collective platform aaa (atelier d’architecture autogerée/ studio for self-managed architecture) and Professor of Architecture and Design Activism/ Head of Research at Sheffield University. She considers herself as a `nomadic subject´ in architecture operating between different fields of research and practice, places and cultures; a passionate educator, an academic aware of knowledge politics, an engaged practitioner and an active citizen who hopes that other ways of living and creating are possible. Dr. Nishat Awan is an architect and lecturer at Sheffield University and is interested in the intersection of geo-politics and space and how this might be addressed in architectural theory and practice, including questions of post-coloniality, diasporas and border practices. Currently, she is working on two research projects: Topological Atlas: Mapping Borders as complex spaces of encounter and Edge of Europe: Migrant Narratives of Citizenship.